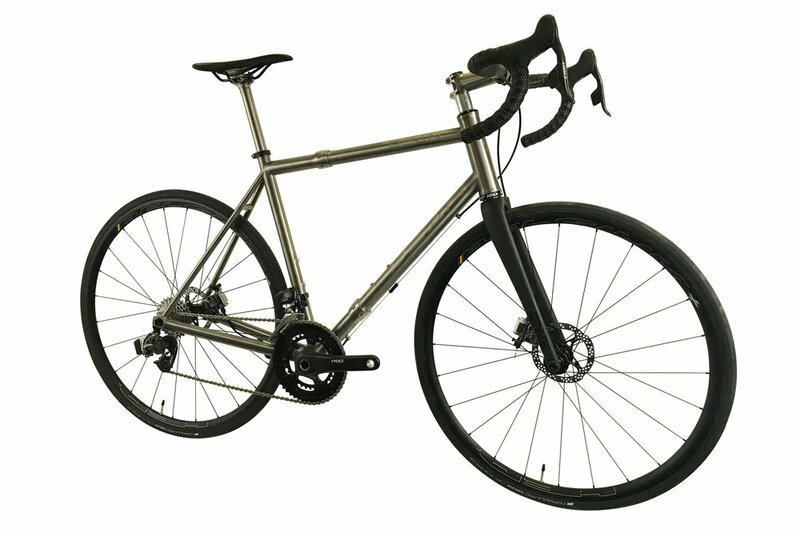 Designed for the discriminating road rider, the El Diente also offers the best value. Weighting is only 3.0 lbs, every frame is hand-crafted from the finest American made seamless 3/2.5 radial titanium that is cold-worked and stress-relieved for extra stiffness. The El Diente's features include riders-specific proprietary custom-gauged tubing, a machine-butted 44mm straight taper headtube, weld-in H20 bosses, and extra stout, oversized, and ovalized chainstays. Dropout choices include 130 x 10mm standard or 142 x 12mm thru axle, caliper, or disc brake options. You can also choose between a PF30, BB30 or 68 English bottom bracket. 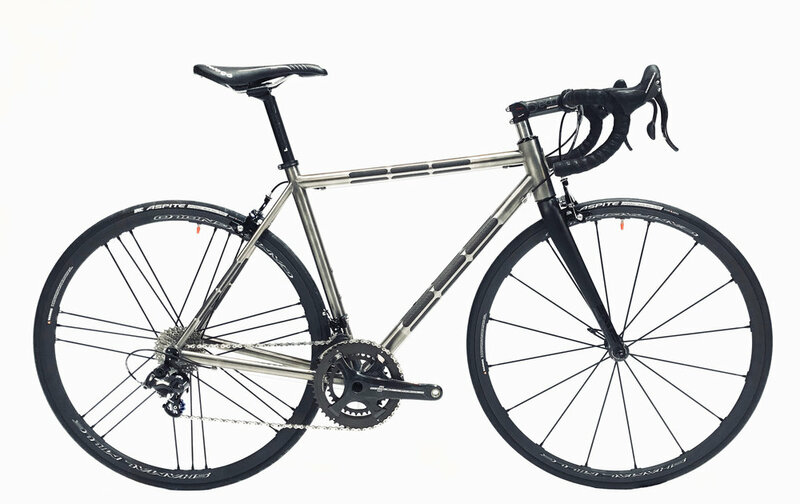 The El Vado, like all of Dean Bikes, is designed and built by hand in Boulder, Colorado. 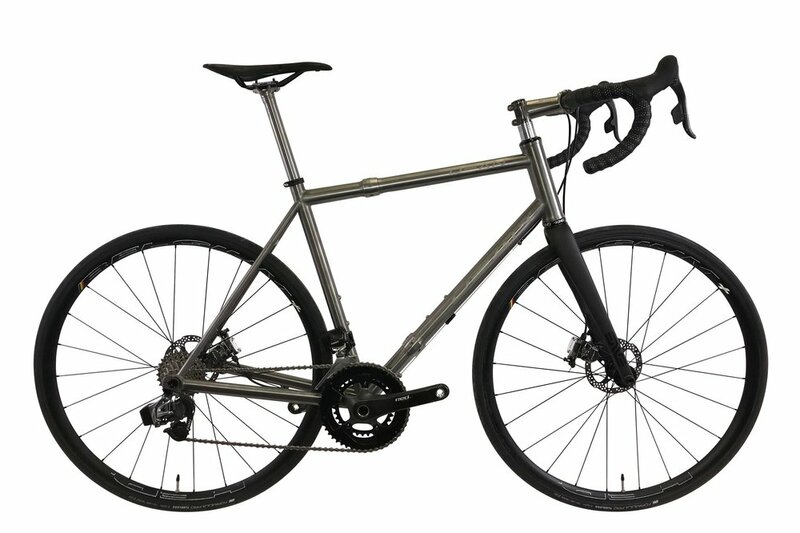 This frame race-ready frame is made with size specific seamless 3/2.5 titanium tubing throughout, featuring a 44mm straight tapered headtube, weld-in water bottle bosses, oversized, tapered seat stays and chain stays, and "Breezer" style dropouts. Pictured with satin finish with silver decals.